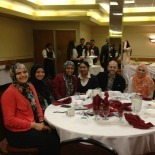 MPAC President Salam Al-Marayati spoke at the IMAN Center Interfaith Iftar in Los Angeles over the weekend. The panel was a diverse group of rabbis, Christian clergy, and Muslim community organizers who came together to call for peace and unity in response to hate and violence. MPAC is now accepting applications for its fall internship program in Los Angeles and Washington, DC. If you are passionate about getting more involved in your Muslim community, becoming an active citizen, and helping shape public opinion and policy about issues like Islamophobia, civil rights and youth engagement, then apply today. The deadline to apply is Friday, August 22, 2014. 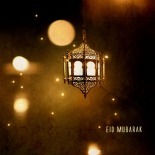 The Muslim Public Affairs Council wishes everyone a joyous Eid ul-Fitr at the conclusion of this blessed month of Ramadan. This Eid, we stand in solidarity with all who throughout Ramadan have faced atrocities, injustice and have been struggling for their freedom. Our hearts are with those who have faced bloodshed in Palestine, horrifying human rights violations in Syria, ongoing slaughter in Myanmar and all who are oppressed. Let me tell you about a civil rights case we have been working on recently. At this moment, you might be thinking – “MPAC works on policy, not on civil rights, doesn’t it?” In reality, we leverage our government relations to directly defend and secure the rights of American Muslims, both to aid individuals and to shape policies that impact all of us. 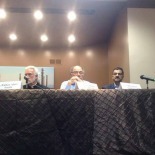 Al-Marayati Continues 'Medina Constitution' Lecture Series at Masjid Bilal in L.A. The Bilal Islamic Center in south Los Angeles hosted MPAC President Salam Al-Marayati last weekend for a talk about the parallels between the Medina Constitution and the U.S. Constitution. 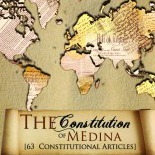 The Medina Constitution is the social contract created between the Prophet Muhammad with leaders of other faith communities. 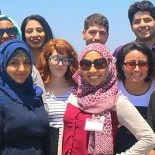 In the giving spirit of Ramadan, please invest in the emerging voices of American Muslim filmmakers, journalists and policymakers by donating to MPAC Foundation today. Your donation will be tax deductible and is Zakat eligible. 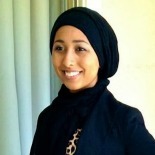 With her fiery passion for media and entertainment, Waffa Abu-Hajar was attracted to interning in the Hollywood Bureau at MPAC. She is currently entering her last year at Temple City High School and is hoping to attend the California State University of Fullerton to major in Broadcast Journalism. 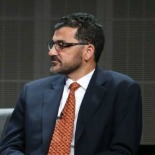 This week, MPAC President Salam Al-Marayati joined "Tyrant" Executive Producer Howard Gordon and Muslims on Screen and Television (MOST) for a panel discussion with the Television Critics Association to explore the show's portrayal of the Middle East and the public's response. Over 560 Palestinians have lost their lives due to Israeli military aggression in Gaza in just three weeks, more than half of them in the past five days. Yesterday, President Barack Obama expressed “serious concerns” over civilian deaths in Gaza, dispatched Secretary of State John Kerry to Cairo to “push for an immediate cessation of hostilities” and announced $47 million in humanitarian aid for the people of Gaza. Humanitarian aid is badly needed; so too is dealing with the roots of the conflict. Now that Kerry is in the region, what should he push for? After attending the Government Young Leaders Summit, we cannot stress enough how important it is for the Summit to continue to provide access and train young American Muslim leaders in how to effectively engage with our policy makers and advance the political condition of American Muslims. Last week, more than 60 community leaders and young professionals joined MPAC at our L.A. office for our annual Community Iftar. Community leaders, alumni from our young leaders programs and young professionals from all over Southern California who have worked with MPAC in one way or another came togehter to see old friends and to make new ones. My aspirations for making the dreams of our future Muslim generations come true plays a large role in my field of work, community outreach. I hope to bring MPAC to different communities outside of Los Angeles in order to help them get involved in the kind of work that we do. 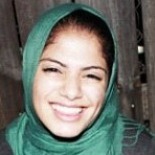 I strongly believe that American Muslims must be at the table, lest they will be on the menu. In order to relieve the U.S. from the stereotypes and Islamophobia targeting Muslims, we must put ourselves in the nerve centers that make the major decisions for our communities. 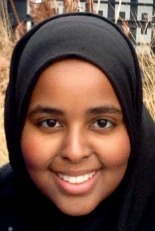 Aisha Jama, a current senior at the University of Michigan, joined MPAC this summer as a government and policy intern in the Washington, DC office. With a double major in International Studies and Arabic, Aisha credits her involvement in student media organizations for prompting her move to DC to experience the crossroads of policy and media. For the last nine days, Israel has steadily increased its military aggression against Palestinians in Gaza. More than 260 Palestinians have been killed, with the United Nations reporting that 80 percent were civilians and 2,000 more have been injured. What has Congress’ response been to this bloodshed? Yesterday, the Senate Appropriations Defense Subcommittee approved a defense spending bill that provides $621.6 million for Israeli missile defense, including a $351 million increase in funding for Israel’s Iron Dome system. For the last nine days, innocent Palestinian civilians have been bombarded with an aggressive Israeli military campaign by land, sea and air, backed by U.S. political cover and financial support. MPAC calls on all people of conscience to speak up for Palestinians who have been treated as silent statistics instead of innocent human lives. Changing U.S. policy requires changing U.S. public opinion on the conflict. Last night, the White House welcomed American Muslim leaders from across the nation and world for the annual White House Iftar. 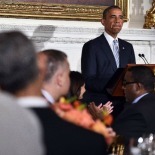 MPAC was appalled that the White House would take the Iftar as an opportunity to express unequivocal support for Israel. In 1996, MPAC collaborated with diverse organizations to work with then First Lady Hillary Clinton to host the first White House Eid celebration in recognition of the heritage and contributions of American Muslims to the mosaic that makes up America. If mainstream American Muslims are not at the table, they will be replaced by voices who seek to further marginalize our community and promote problematic policies. This year, we plan to discuss the NSA and FBI surveillance of American Muslims and the administration's failure to call on Israel to halt its appalling assault on Palestinians.